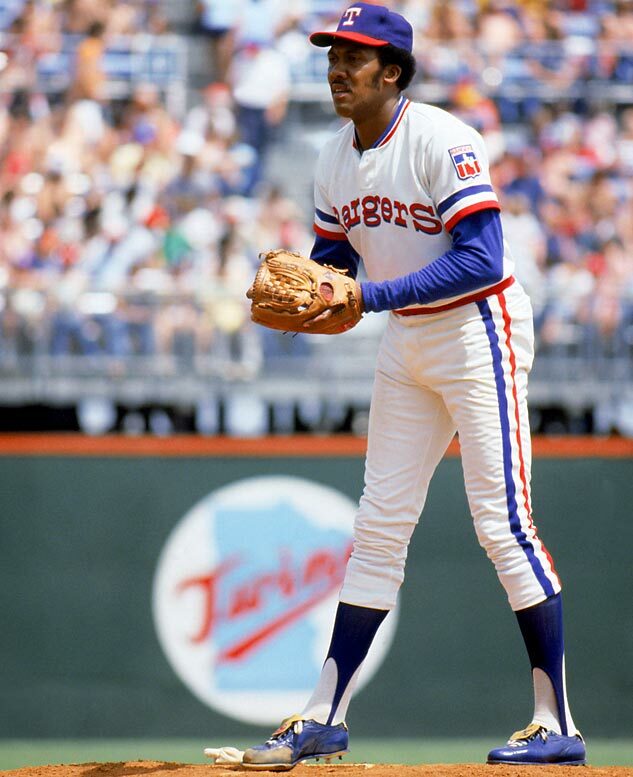 Forty-two years ago today, Canadian pitching legend Fergie Jenkins was traded by the Chicago Cubs to the Texas Rangers. • You can’t help but admire and respect left-hander Mark Buehrle, but in a professional baseball landscape rife with albatross contracts, his contract, which paid him $55 million over the past four years, is expiring at precisely the right time. His 15 wins and 3.81 ERA in 32 regular season starts made him a solid contributor for the Blue Jays for much of 2015, but by the end of season, Buehrle, himself, would likely admit that his shoulder was done. So after a 16-year major league career that saw him win 214 games, pitch a no-hitter and a perfect game, be selected to five all-star games, win five Gold Gloves and earn a World Series ring, Buehrle is likely to officially announce his retirement in the coming days. • Forty-two years ago today, the Chicago Cubs traded six-time, 20-game winner Fergie Jenkins (Chatham, Ont.) to the Texas Rangers for third baseman Bill Madlock and utility player Vic Harris. After he had slumped to a 14-16 record and a 3.89 ERA in 1973, the 30-year-old Jenkins was thought to be on the downside of his career. But the Canadian right-hander would quickly prove his detractors wrong. 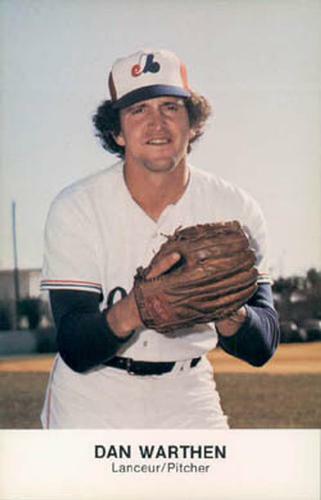 Jenkins won a career-high 25 games for the Rangers in 1974 and 110 more in the ensuing nine seasons. • Tim Brown of Yahoo! Sports reported on Thursday that 2014 Canadian Baseball Hall of Famer and longtime Montreal Expo Tim Wallach has been interviewed for the Washington Nationals’ vacant managerial opening. The 58-year-old California native served as a bench coach for the Los Angeles Dodgers in 2015 and has been a coach or manager in the affiliated professional ranks for close to two decades. Prior to his coaching career, Wallach played 13 of his 17 big league seasons with the Expos, where he established franchise records in games played (1,767), hits (1,694), doubles (360), RBI (905) and total bases (2,728). • Four years ago today, the Canadian Senior National Team won gold at the Pan Am Games in Guadalajara, Mexico by beating the United States 2-1 in the tournament’s final game. It was the Senior National Team’s first gold medal at an international competition. Andrew Albers (North Battleford, Sask.) and Scott Richmond (Vancouver, B.C.) combined to strike out 11 batters in the game and Jimmy Van Ostrand (Vancouver, B.C.) provided the offence with a two-run double. For their efforts, the entire 2011 team was inducted into the Canadian Baseball Hall of Fame in 2012. • Today would have been the 103rd birthday of Canadian Baseball Hall of Famer Phil Marchildon. While working in the Creighton Mine in Sudbury and starring for the company ball team, Marchildon was convinced to try out with the International League’s Toronto Maple Leafs in 1938. The hard-throwing hurler struck out seven of the nine batters he faced at the tryout and was asked to report to the Leafs training camp the following spring. After two seasons with the Leafs, Marchildon had his contract purchased by the Philadelphia A’s. In his first big league season, he recorded 10 wins for the lowly A’s managed by Connie Mack. He followed that up with 17 wins in 1942 to become the staff ace. Poised to join the pitching elite, Marchildon was called for military duty and served in the Royal Canadian Air Force from 1943 to 1945. In August 1944, his plane was shot down and he was taken as a prisoner of war. He would spend nine months in a German prison camp. Upon his release and return to North America, Marchildon was almost immediately penciled into the A’s rotation. Though still traumatized by the war, Marchildon registered 19 wins for the A’s in 1947. In all, Marchildon won 68 big league games and completed 82 of his 162 major league starts. For his accomplishments, he was inducted into the Canadian Baseball Hall of Fame in 1983. Marchildon passed away on January 10, 1997 in Toronto. • Happy 48th Birthday to Blue Jays radio analyst Joe Siddall, who just completed his second season as a member of the club’s radio team. As a player, the Windsor, Ont., native was signed as a free agent by the Montreal Expos in 1987 and he suited up for 13 professional seasons – including big league stints with the Expos, Marlins and Tigers – as a catcher. • At least, three former Montreal Expos will participate in this year’s World Series. Kansas City Royals manager Ned Yost played his final five major league games with the Expos in 1985, while New York Mets pitching coach Dan Warthen toed the rubber for parts of three seasons with the Mets from 1975 to 1977. The 43-year-old Bartolo Colon, who was 10-4 with a 3.31 ERA in 17 starts for the Expos in 2002, will pitch out of the bullpen for the Mets. • This week’s trivia question: When Mississauga, Ont., native Dalton Pompey stole third base for the Blue Jays in Game 6 of the American League Championship Series, it was his fourth steal of the post-season, which set a new record for most stolen bases in the postseason by a Canadian. Whose Canadian postseason stolen base record did he break? Please provide your answer in the “Comments” section below. The first person to provide the correct answer will win a David Price rookie card. Was it Terry Puhl, Tip O’Neill and George Gibson’s record? Hi Brent. Thanks for the response. It was one of those three. My bad you meant career postseason record. Great question and great blog as always Kevin, hope you are doing well. Hi Kevin. You are correct. Puhl had three postseason stolen bases. Thanks for your participation. Drop me an email at kevin.glew@sympatico.ca and I’ll get the Price card out in the mail to you. Thanks again. Buehrle had a great career. Unfortunately what I remember for this season was losing home field because they wanted to give him the 200 innings. Would it have played out different if the Jays were at home for Game Six? Fergie’s ERA of 3.89 in todays game would have made him a number 2 starter. How times change! Back then he was slumping! Very true, Scott. Thanks for the comment.